The annual David Hartman Memorial Conference for a Jewish-Democratic Israel provides an intellectual foundation for a shift in consciousness about Israeli-Jewish civil society, presenting participants with a clearer understanding of the deep Jewish roots of social justice and how they can and should be realized in modern day Israel. The Hartman Institute launched the now-annual Conference in 2011 in response to an increase in bigotry against Arab citizens of Israel. After the passing of Institute founder David Hartman, it was renamed as the David Hartman Memorial Conference. See 2019 Conference details here (Hebrew). Watch the 2019 Conference English webinar, "Nationalism, Marginalization, and Jewish Peoplehood," featuring Yehuda Kurtzer and Micah Goodman, here. Read about the 2018 Conference, which focused on Israeli-Diaspora relations. Read about the 2017 Conference, which focused on the 50th anniversary of the Six-Day War. The February 3, 2016, event drew more than 800 participants and included the annual evening in memory of SHI Founder Rabbi Prof. David Hartman. The conference consisted of an opening panel with Prof. Yuli Tamir and Prof. Daniel Statman, followed by six parallel sessions. More than 400 people were in attendance. The Conference marked one year since the passing of David Hartman z"l. The conference boasted nearly 500 participants. The Conference convened preeminent scholars, thought-leaders, and activists from dozens of Israeli social justice organizations to study social justice through the lenses of national policy, education, land, and gender, among other topics, and showcased much of the thought that has been generated by the Kogod Center Social Justice Research Team. 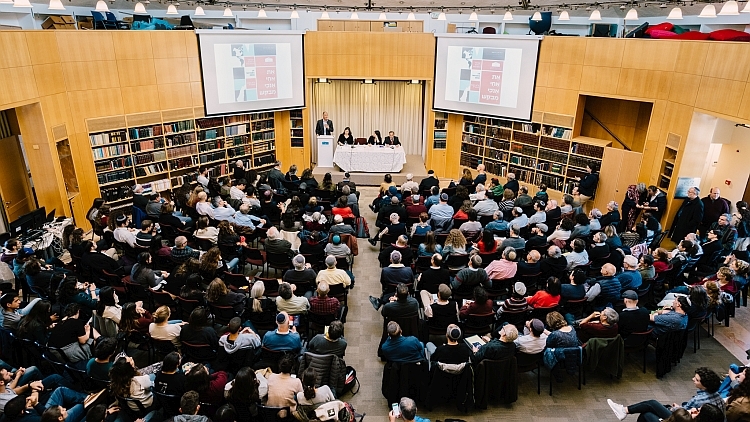 The inaugural Conference challenged participants to consider the vision of Israel as both a Jewish and democratic state and the intersection of these two central values. The conference was cosponsored by a broad spectrum of Israeli organizations and features lectures and panel discussions in which politicians from various parties, social activists, academics, and representatives of the media participated.